Hola! 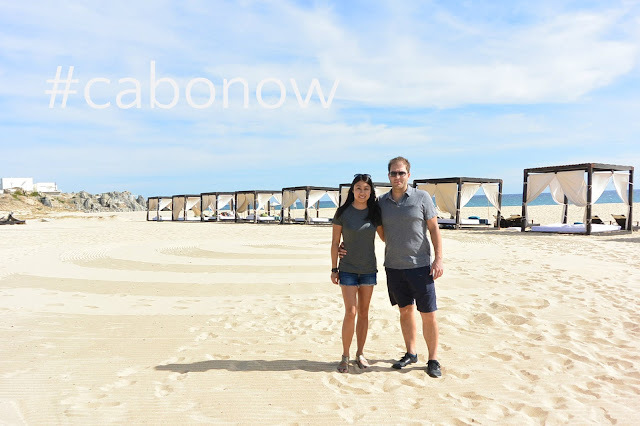 I'm back from Cabo San Lucas and it was nothing short of spectacular! It was my first timing flying with Sunwing and the experience was very positive. I enjoyed the little added touches like the complimentary wine and chocolates offered on board. The staff were relaxed and both times, our flight arrived early -- which never happens!! Home for the week was the stunningly beautiful Pueblo Bonito Pacifica Resort & Spa. Not just any resort but staying here was a grade A experience - from the private cooking class with Chef Edgar to indulgent spa treatments to pampering butler services. For foodies like myself, there was no shortage of the freshest and tastiest authentic cuisine. Relive #CaboNow with myself and the 5 other Sunwing Ambassadors including Casie Stewart, Kiara Schwartz, Sasha Tong, Leigh McAdam and Mike Morrison. Don't forget to ENTER TO WIN your own luxury vacation for 2! Full details HERE.